ROCHESTER, NY (WXXI) – The organization is expanding in an effort to keep pace with the rising rate of fatalities. 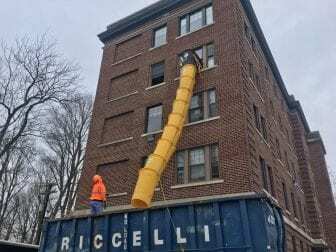 FLACRA is renovating a five-story building on Main Street in Clifton Springs, Ontario County, to house medically supervised detox and addiction treatment facilities. Still, Teller said, it’s not enough. Less than 20 percent of the counties in the state have all three of the treatment modes that experts describe as the highest levels of care for addiction treatment and recovery: medically supervised withdrawal, residential stabilization, and residential rehabilitation. Almost half lack any of the three. Those programs tend to be concentrated in cities, leaving people trying to recover from addiction in rural areas of the state at a distinct disadvantage. In Livingston County, bordering Ontario to the west, Michele Anuszkiewicz is the director of community services, overseeing the county’s addiction treatment programs. Her office on the outskirts of Geneseo is about an hour’s drive, mostly through farmland, from FLACRA’s headquarters. For people looking for an intensive recovery program, there’s no local option. “You have no choice. To go to detox, to get methadone treatment, to go to a residential placement or an inpatient placement, as of right now, you cannot get any of those things in Livingston County,” Anuszkiewicz said. The problem with leaving the county is that it also means leaving behind the social supports that can help sustain recovery, said Anuszkiewicz. People from Livingston County sometimes go as far as the Bronx or across the state line to Pennsylvania to get a place in an inpatient setting. When they come back home, she said, the stress of the transition can push them back toward drug use. Anuszkiewicz and health officials in other rural counties acknowledged that inpatient treatment is not for everyone. It’s the highest level of care, suitable for the most dangerous addictions. Still, at FLACRA, the list of people waiting for it sometimes numbers into the hundreds, said deputy director Jennifer Carlson. And that list is growing. Part of the reason, Carlson and Teller said, is the success of a peer advocate program that began about 18 months ago. FLACRA recruits people who have been through addiction and are now in long-term recovery – the “peers” – to reach out to people who are currently addicted to opioids or other substances. One of those peers is Kate Gates. In the midst of her addiction, Gates found herself in jail in Yates County. Now, as a peer advocate for FLACRA, Gates’ job is to reach people across a swath of largely rural territory around the Finger Lakes and talk to them about how they might get help to treat their addiction. “I go to their homes, their residences, sometimes I’m meeting with them in a hotel, in emergency housing. Sometimes I meet them in the library – kind of all over,” Gates said. One of the biggest barriers she sees for getting treatment to people outside of cities is transportation. Addiction is often an isolating disease, Gates said. And when it strikes people who live in isolated areas, it can quickly turn deadly. County administrators who oversee addiction treatment in rural western New York and the Finger Lakes said the result of the shortage of providers is simple: people are dying. New York state’s Office of Alcohol and Substance Abuse Services is soliciting bidsfor several government-funded projects meant to equalize treatment options across counties, including some that specifically target counties without inpatient detox or residential rehabilitation services. But until those projects are complete, Anuszkiewicz, other public health and community service administrators in rural counties, and the administrators at FLACRA said the number of people in rural western New York who have lost friends and family to the epidemic will continue to rise. A couple of miles up the road from Anuszkiewicz’s office, Theresa works in one of the restaurants that occupy many of the small brick storefronts of Geneseo’s Main Street. Theresa, who requested that WXXI News not publish her last name or the name of her workplace, said people who have died of opioid overdoses came to her mind right away. Theresa said it’s not uncommon to hear people discussing the epidemic. “I have teenage daughters, and they talk about it as well,” she said. Treatment providers said they want to be sure that recovery is also part of those discussions. They said addiction is treatable, but they worry that some of the most effective treatments are still inaccessible to the people who need them most.